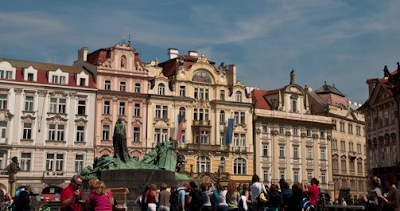 Prague ~ Learn, Live, and Explore! Recently, I've been really into event-driven travel to inspire me. So, when I made the decision to return to Paris, after not visiting for 10 years, to attend the first two days of the 2010 French Open, I also realized that, having already been to Paris several times, I didn't want to spend a lot of time there. In the spirit of my New Years resolution to visit two new countries, Prague became Stop #2 on this European adventure! 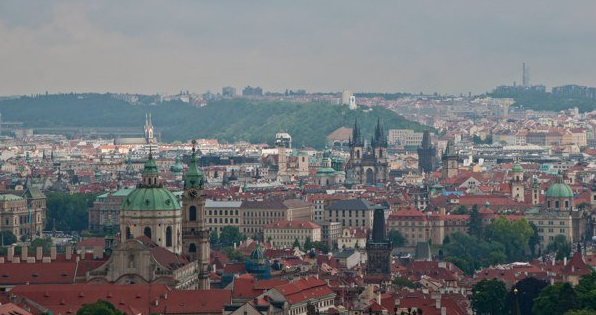 The is the greatest way to orient yourself to a new city AND IT'S FREE!!! The English speaking guides, often ex-pats from the UK or US who are abroad teaching the language and supplementing their salaries with these tours, are very energetic and full of stories. Sometimes, I question the facts (on a recent Madrid tour), but there's no better way to get a compete highlight tour in just 3 hours. 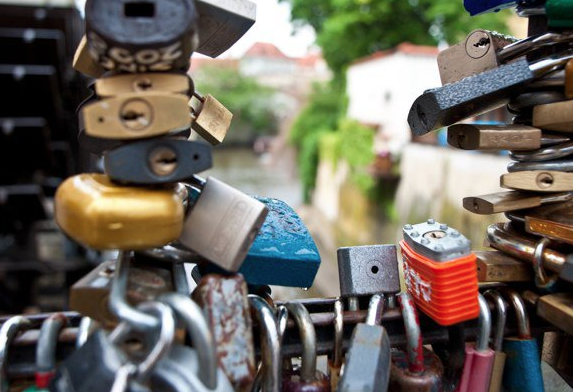 The guides all work on tips, so you pay them the amount you think the tour was worth. I think I gave my guide €10. I opted to join the morning tour that meets in Old Town Square because I knew that it was likely I would choose to stay and take the Castle Tour (€12 + optional tip) that immediately followed the Free Tour. Between those two walking tours and my required authentic pilsner at dinner (from Wikipedia: Pilsner is a type of pale lager. 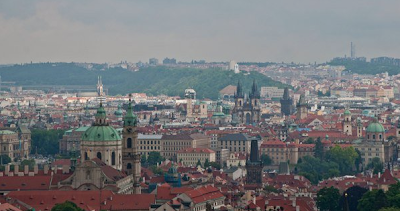 It takes its name from the city of Pilsen (Plzeň), Bohemia, in the Czech Republic, where it has been developed since 1842, when a bottom-fermented beer was first produced. 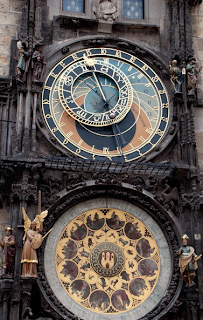 ), I was exhausted and headed back to my B&B near the Old Town Square for the night. No Sandeman's Pub Crawl for me - a girl has her limits! For Day 2, I opted for the weird...and macabre. 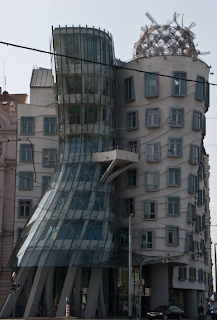 First, at my cousin's suggestion, I paid a visit to Fred and Ginger, another Frank Gehry monstrosity called "The Dancing House." Then I went to meet up for, yet again, another Sandeman's tours to Kutna Hora. This destination was actually a suggestion given to me by a work colleague that, coincidentally, was an offered tour that I, of course, jumped on! After taking the train and a local bus, the first official stop on the tour was not for the easily disgusted - the Sedlec Ossuary, also known as the Bone Church. 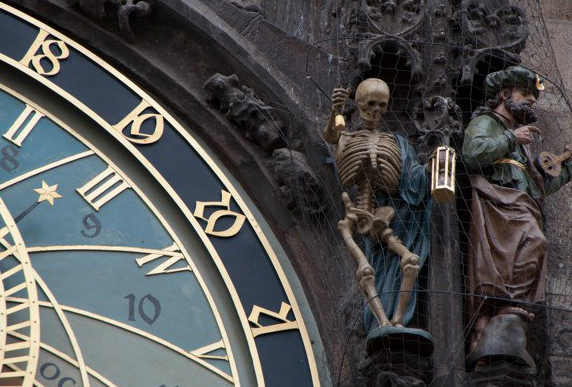 Aside from the foundational structure of the building, everything decorative on the inside was made from the bones of exhumed skeletons of plague victims! 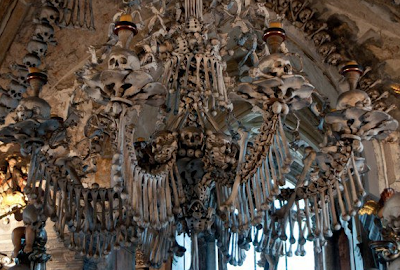 This chandelier, in particular, includes at least one of every 206 bones in the human body. 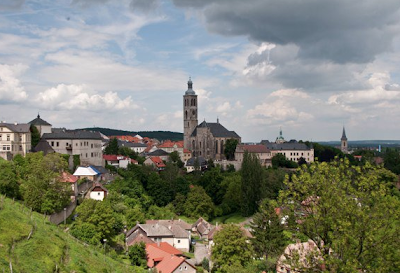 The remainder of the tour was spent wandering through the historical town of Kutna Hora, listening to stories of when the town was one of the wealthiest in the region due to its extensive silver mining operations. 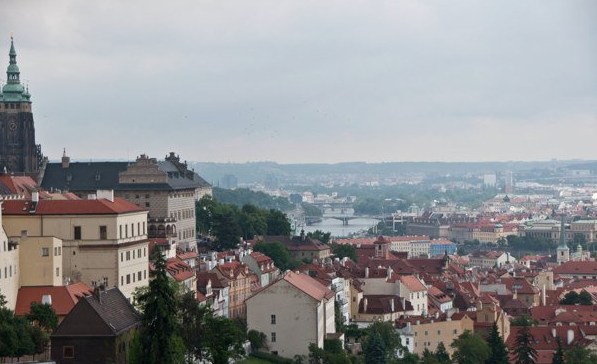 So, if you needed proof that you could easily see a vast majority of this Bohemian gem of the Czech Republic in less than 3 days, here it is! Thanks to Sandeman's, of course! 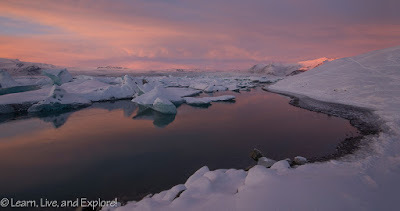 Like their guides, I make nothing for referencing their company....but you can always "tip" me with a nice comment if you benefited from my experience, or just liked the photos! 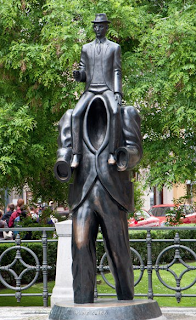 Finally, I leave you with this Kafka statue....man on shoulders of man with no head...or however you want to interpret it.